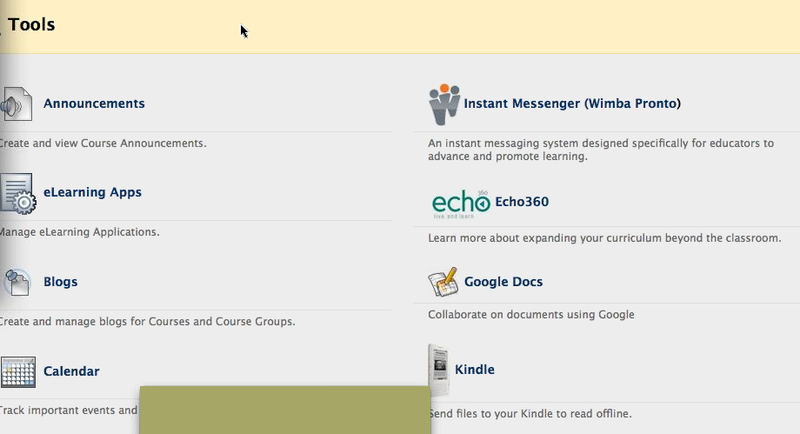 This webinar looked at the path to the next generation (Project NG) of Blackboard. They are about the quality that matters with Blackboard extending itself to move toward more mobility and assessment. Also, they want to build community interaction to work with their clients to make a smooth transition to the next generation. The future of Blackboard - Project NG. Their already looking at Blackboard X. 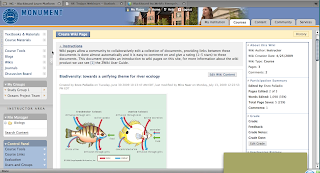 Active collaborations: Wikis - they are gradable and tied to the gradebook. Integrating visually engaging content: Flicker, YouTube, etc. Searched within the platform. Manage content at the course level: information can be uploaded by draging and dropping into the course file manager inside your course. Grade Center: You can customize the grade center as to how it is viewed. You can now grade blogs in 9.1. Enable flexible course roles: they have modified it where you can change the role ID and separate out the customization of what the role can see and use. FREE access to partners - delivering open and extensible learning through NBC, Bing (access to course content via Bing bar), Echo 360, Acxiom, and WimbaPronto. However, it is limited as to what features are free. Integrated tools created by others - expanded web services tools. Supporting the latest technology advancements - support for window servers, support for the latest web browers such as Safari 4, IE 8, and Firefox 3.6. They are also supporting operating systems such as MS Windows 7 and Snow Leopard. Blackboard Mobile is more than the distribution of communication to a device for the purpose of using it on mobile deviced to work on courses to sign up for courses. 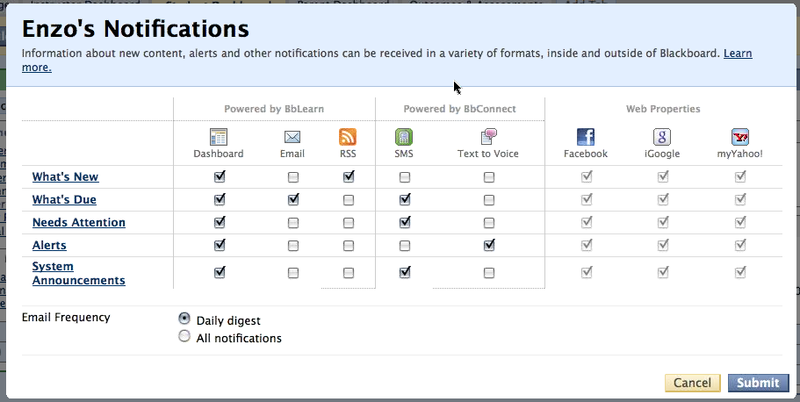 Empower your educators to communicate - Blackboard connect integrating the learning managment system to push out announcements to their cell phone using the Blackboard Mobile function. However, there is a cost for the Blackboard connect. Insight into program gaps ( a new report) - looking at the course level or content alignment for content instruction or academic impact to identify the gaps in learning. Connecting student instruction with institutional improvement. This webinar was more of a reassurance that they are here for us to support the client when upgrades or transitions are happening. I asked two questions regarding to the wikis be part of the grading and can it be pushed outside of Blackboard. Also, my last question was about Google docs being build in and one of the tools, but they didn't have time to answer it. Based on what I learned it looks like it is worth for us to upgrade to Bb 9.1. One note is that they have many tools in here like Learning Objects did, but their wikis and content stays within and does not have the capability to be shared out. Mahalo for the update Cassie. Looks like 9.1 would be good for us.